WHAT in all that is musical are we doing here? 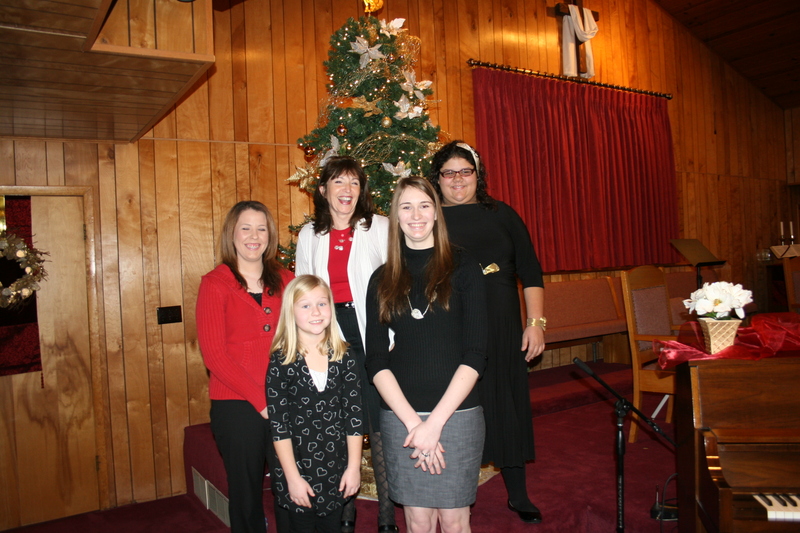 Sunday, December 4, was the piano recital for my four piano students. 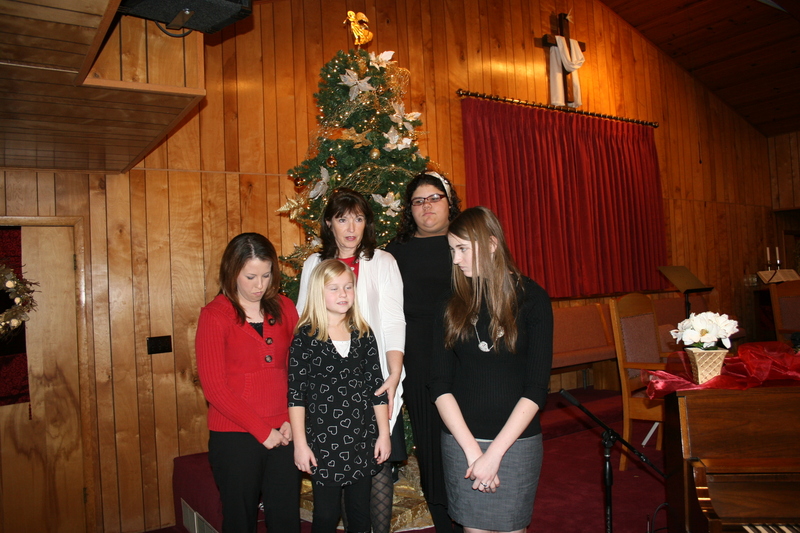 We must have had a lot on our minds when this pic was taken. We can do better than that. Ah, yes. Our sweet little selves are shining through. We practiced a bit and finally got a smile or two that was pretty good. I just gotta tell you about my awesome students. They only started in the spring of this year and can already read and play Christmas songs. 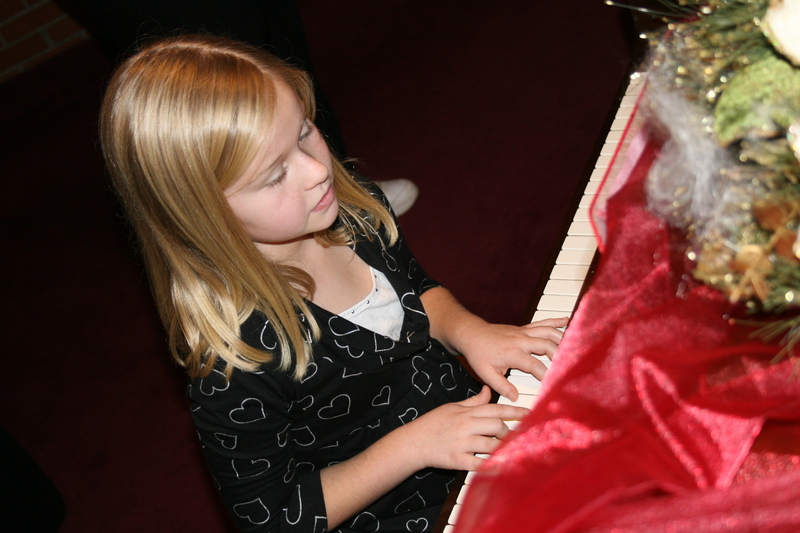 Since I think they are so awesome, we had a recital with a small cookies and punch reception afterward. I’ve had several comments about how other people think they are awesome as well since they heard them at the recital. Emily with the long, dark hair is a senior in high school. 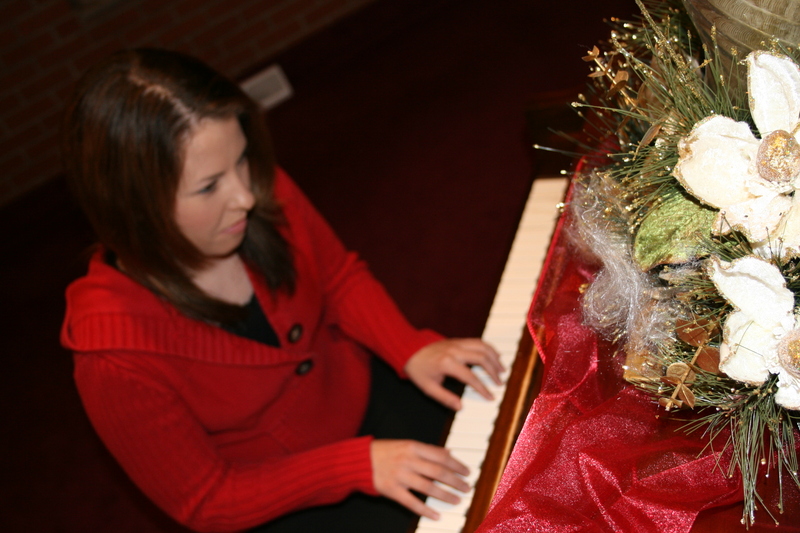 She played Christmas songs, hymns, and a duet, Swan Lake, with Lindsay. Lindsay is the high school science teacher. Since she also plays saxophone, she could read the treble notes well when she started. Putting the paper notes with the piano keys has been a smooth transition for her. She may not think so, but for such a short time taking lessons, it has been. 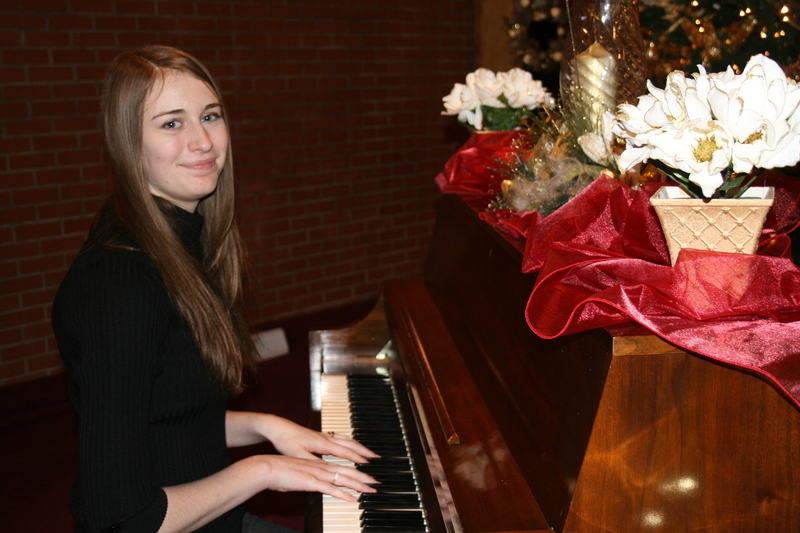 Both her and Emily have busy, busy schedules to fit learning piano into. Little Emily is nine. She likes to pick out the tunes and then learn them by memory, but she also is learning to read the notes. I don’t know how Suzie managed to escape a solo picture. She is in the sixth grade. Her songs were Jolly Old St. Nick and a duet with me. Learning music is learning a new language. Students learn to read and then speak (play the instrument) the language of music. They learn to hear it and know what’s being said (know the notes, melody, harmony, timing). It’s tough. The joy comes each time they make a step forward in their progress. Little Emily is always saying she doesn’t know what the note on the paper is… until she stops for a few seconds and thinks about it. Then she always knows it. It’s been a great pleasure of mine this year to teach them. One of my goals for 2011. 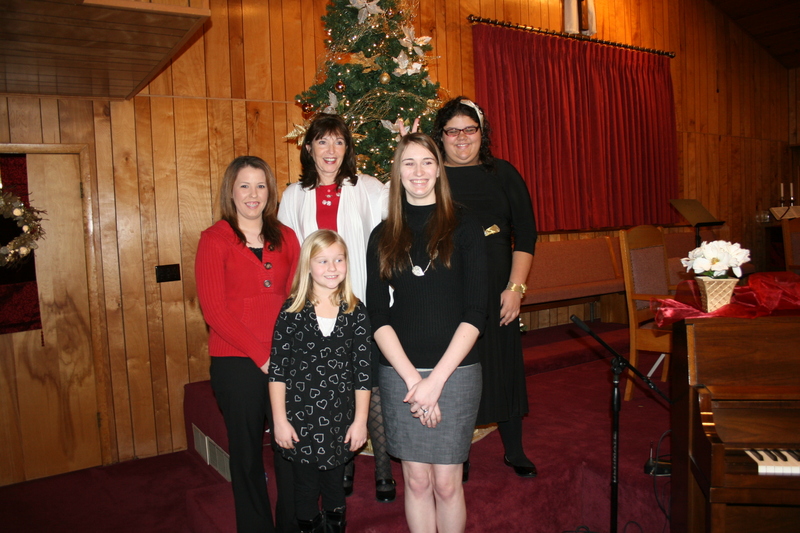 My pastor videotaped the recital, so next year we can see how far they have come. I’m excited about that… and them. What a nice post! I love that you are teaching them to play the piano! So glad you are sharing your gift! Maybe one day they can play at their niece’s wedding too – haha!